Hello everyone , my name is Michael, and I've been an owner of this 1973 280S since January 2018, she is a base option car with no central locking, no power windows, just the AC option . I've been having a lot of fun with this fine machine and plan to do a full restoration very soon. I've been browsing through this forum recently and have found so much help here that I decided to register myself and introduce myself and my car to you guys. Indeed , definitely looking forward to spending more time on this site. I love that silver. More pics and a little story about it please. Pretty sure you'll seal the show with that one in Indonesia. There can't be a lot of these around, and yours looks pretty shiny! Is the motor still original? How would you be planning to restore and drive that car? Do you have good people there for such antique jobs? Looks like your friends at the PPMKI club have all sorts of classic cars.. They must have people to rebuild and fix them.. Would be great to see some data, pics and stories about such cases as to get an idea about the level of things.. 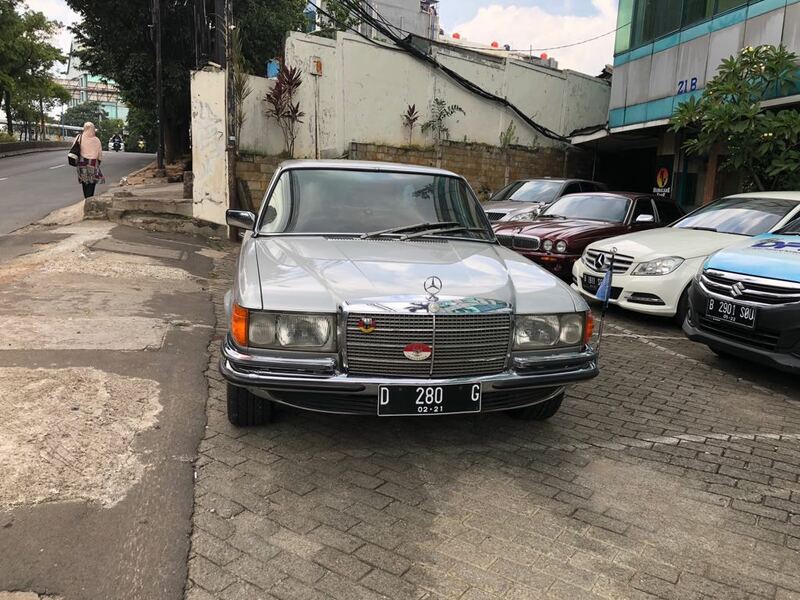 So, as I mentioned she is a base option car and originally I was looking for a W108 as they are a lot more common in my country, but as this W116 turned up for sale it was very hard to pass on it as I knew that it was an overall better car to use and live with. As seen in the image, her condition was fair with a couple of blemishes on the paint that I could see such as some paint bubbling and "minor" corrosion on the fuel door and on the lower portion of the rear doors. The car came with a set of BBS replicas and thankfully also came with the original wheels which were the color matched hubcap wheels. 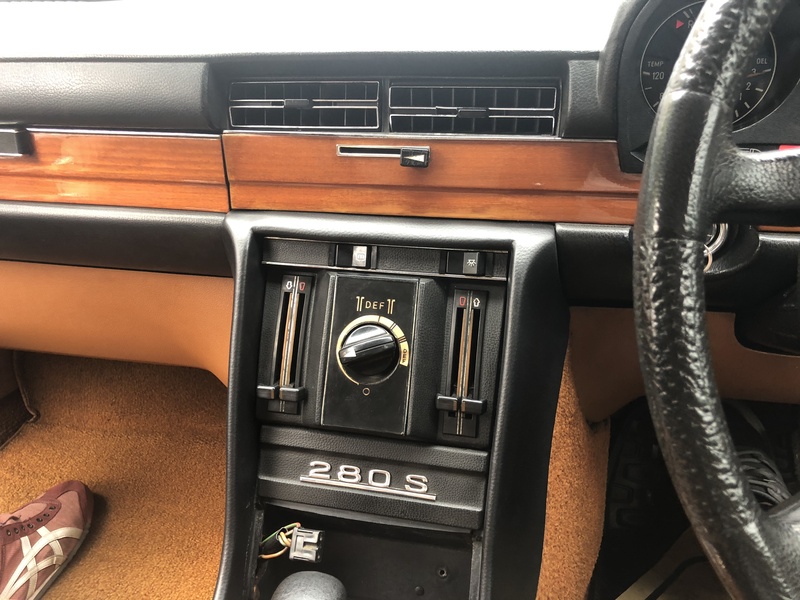 The car also has an MB-Tex light brown interior, I'm not sure what the original name of the colour is but here is a picture of the interior, sorry for the confusing angle as I only have one picture of the interior . My original intention was to experience the car for a little while and learn more about older Mercedes before making the decision on whether to use it for a long term basis or to sell it again. 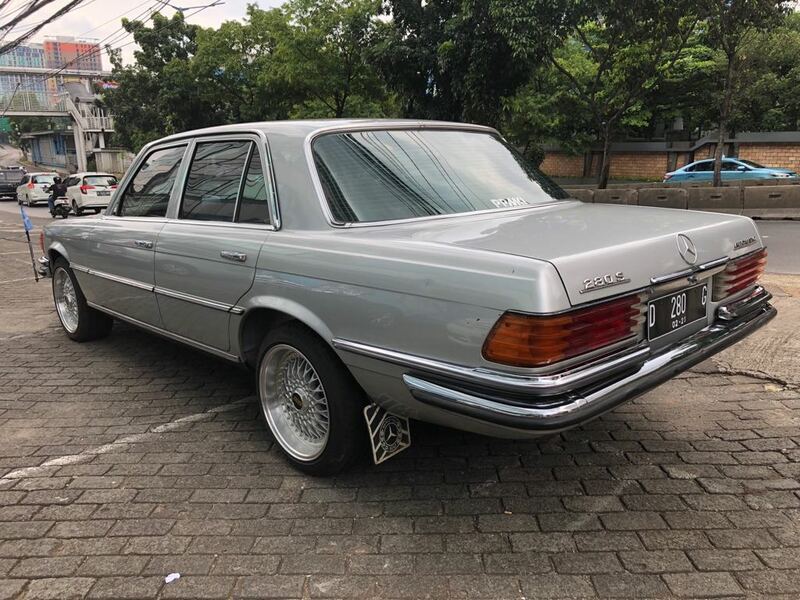 However, this car blew me away so much with its level of comfort that I feel that it could at the very least match the comfort level of modern day luxury cars, this just goes to show how over-engineered Mercedes were back then. This led me to the decision to keep the car and do some minor restoration on it to make it more drivable on a daily basis. I started off with refurbishing the carburettors and transmission valve body as well as doing some minor restoration work on the interior and exterior bits as well. New rubber overriders, a new clock in the instrument panel, refurbishing the dash, amongst other things. However, after daily driving it for 6 months or so, I decided to do a full restoration for the engine as the car had an erratic idle during cold starts which after consultation with a respected workshop in my country concluded that the car needed a valve job and while they were doing it, they are going to inspect the pistons, connecting rods, bearings etc. to see if they need replacing as well. As the car needed to have its engine out, I decided to fix some of the known rust issues with the car. Now previously I thought I was going to be fixing rust on isolated parts of the car such as the parts I mentioned before and on the passenger side of the firewall, however after the body shop took a closer inspection, it turns out there was rust on almost every panel of the car save the trunk, roof, and hood of the car which has now turned the whole bodywork restoration into a full paint job hence why I said I might be bringing the colour back to the original pastel white. Will update pics of the body restoration soon. Hi Stan, I've been browsing through your restoration a lot and I must say I can't wait for the final result as I'm pretty sure it would turn out amazing. 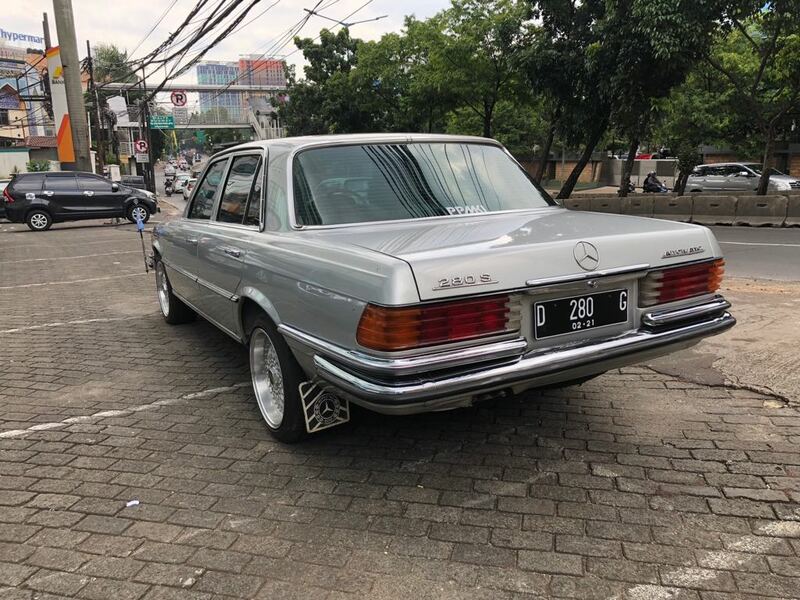 You are right in saying that there aren't a lot of W116s in Indonesia as there are probably less than 50 (rough estimate) I presume and most of them are not in prime condition. So as I mentioned in my previous post, my objective was to simply make the car daily drivable but with the current rust issues the car has, it forced me to do a full restoration even though some restoration had already been done to it; the rust was a result of a poor paint job I assume. 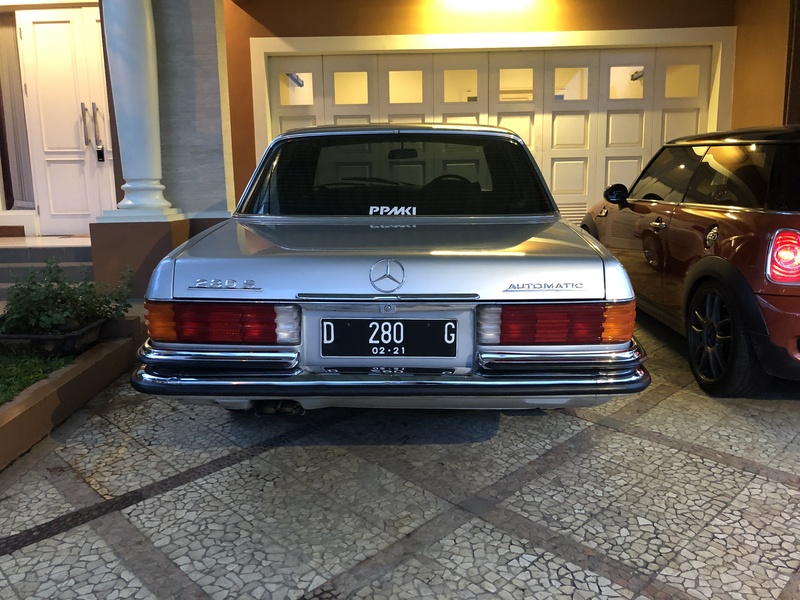 I am working with an excellent classic car workshop named "Top Gear Performance" which are renowned here in Indonesia, they have been guiding me through this whole restoration process and making my life a lot easier to be completely honest with you. In regards to PPMKI, the previous owner of the car was a member of PPMKI but I am not a part of PPMKI so I don't really know much about the whole community. However, I will try to look into the cars that are part of PPMKI and maybe get some insight and references on classic car restorations as I am quite new to it myself. I also have a 280S, she has A/c but also central locking luckily! The interior of your car looks very nice. As may of us know rust hides very much on these cars and anything small you see initially becomes much larger when dug into! It's great to see that you are doing such a fine job preserving your car. Can you say more about your dash restoration, are you talking about the dash pad? Where did you have that done? Top Gear Performance looks slick on FB, but among all this slick Instagram Photoshop, not much to see when it comes to their projects and linked skills, at least not as far as I saw.. U sure they're up to the task? Is it normal to not show the repair process? Quietly thinking about shipping my car abroad for assembly... Very quietly. 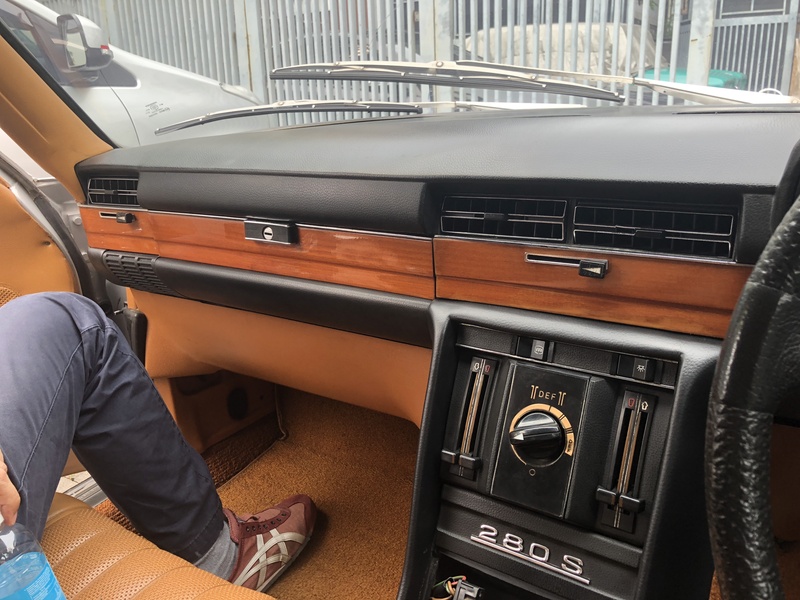 That's great , I used to take central locking for granted but after having to get something out of the back seat of my 280S on a rainy day and having to unlock the front door just to unlock the rear door, has made me gained appreciation for central locking a lot more . Thank you for the kind words , I try my best in taking care of my cars however given the limited resources in my country, it can be quite a challenge sometimes especially in sourcing parts. Thank you , yes I definitely was caught off guard by how much rust there was throughout the car but I will try my best to get her back into rustless condition . 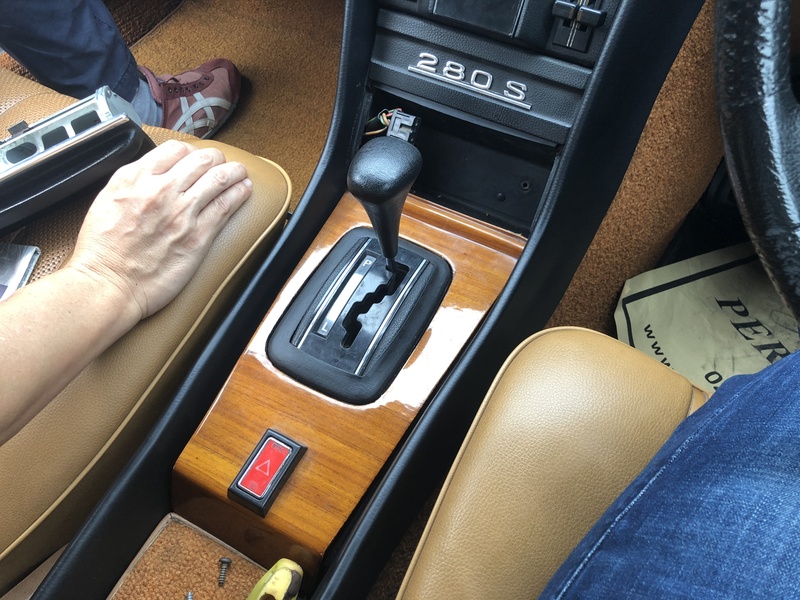 Regarding the dash restoration, I think I have made a mistake in mentioning it as a dash restoration, it is actually a center console restoration I guess because they were starting to crack from the climate control section down to the section beside the seats. I will post some pictures of the before and after results. There are cracks on the center console surrounding the climate control. There is also a crack here if you look closely near the seat. 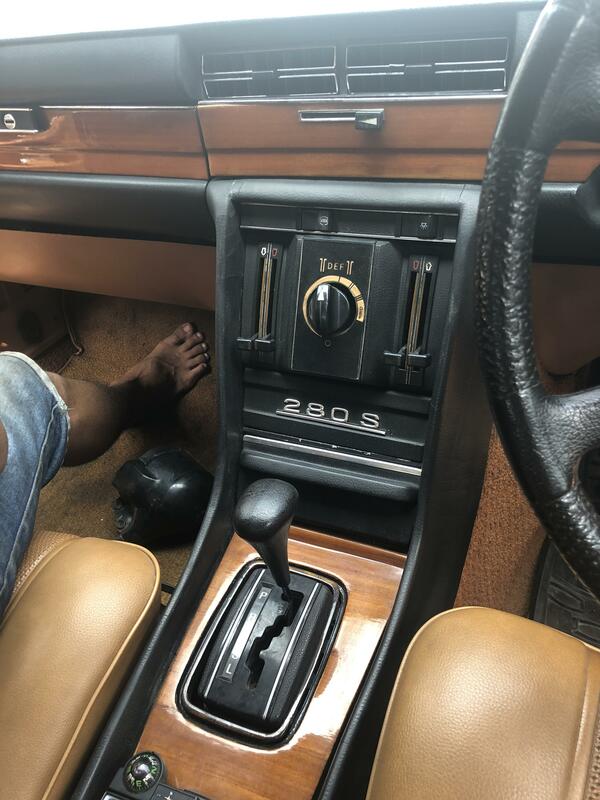 The shop that did the job was a local job called "788 Autocare" and they specialise in interior restoration and I think the process they did was sanding the center console, priming it, and then repainting it. 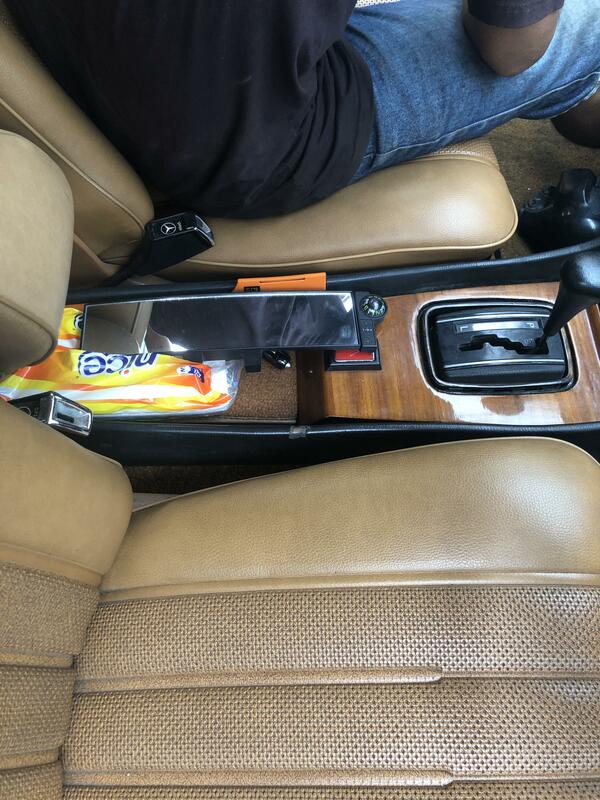 A replacement center console might have been a better solution but given the importation regulation of my country and the rarity of that whole part, I thought this would have been the next best thing. I'm quite confident they are up to the task as I have seen the restoration work they have done before towards my brother's Alfa Romeo 2000 GTV and the work they have done in my opinion was quite amazing as they did everything from interior, drivetrain, engine, etc. And for the Mercedes restoration itself, I have put my faith in them as before I was introduced to their shop I had constant issues with the Solex carburettor and every shop I took it to (about 5 if I remember correctly) were not able to set it up right resulting the car to sputter a lot. After taking it to them, they were able to set up the carburettor properly within a few hours, they were also able to refurbish the body valve to make the shifts on my car a lot smoother. Overall, I think they have done a great job for me so far and I am quite confident that they will be up to the task of restoring this car to its former glory. I think the reason why they don't show the restoration process has a lot to do with them being a semi private workshop which in my country means that putting the car into Top Gear Performance would usually require us to know one of their existing clients first before we can use their services. Another reason why I think they don't do a lot of documentation regarding their work process has a lot to do with their clientele with most of them being private individuals, they don't really want their cars or even the parts of their car being documented. That's just my personal opinion based on what I've seen inside the shop as it does have a "no camera" sign within the workshop as well. Usually the pictures that you see documented in the internet are photoshoots with prior permission from all owners of the vehicles. Shipping a car outside the country for me would be impossible from a regulation and financial standpoint , do you have connection with a shop abroad that you're planning to bring your car to for assembly? Oh, it's an equally near-impossible task when in Taiwan as well, or I would have done it long time ago. There isn't even a way to bring your car with you into Taiwan, as a foreigner, without completing a full, non-reversible import procedure. Export-and-re-import is even more vague complication, and that is not even considering the paper drama when shipping a naked chassis and 4 pallets of parts to Indonesia, hoping to be shipping an assembled car back under the same paperwork, all the while relying on all Indo AND Customs fees to be waved and avoided. Then there's shipping costs..2-3000usd, 2-way. What am I even thinking of..